TranQuility is proud to support members of the local transgender and queer community as well as employers who encourage members of these communities as well! 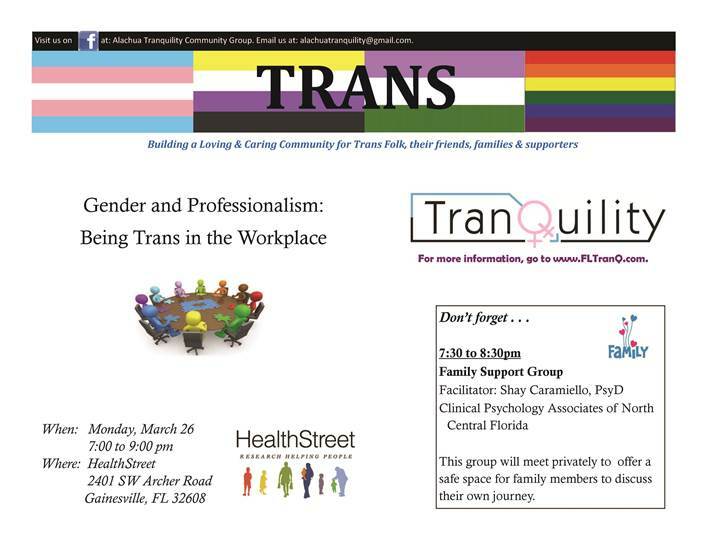 On Monday, March 26 TranQuility will host a discussion about the role of gender in the workplace. We encourage potential employers to spread the word that their workplace is an inviting and encouraging place for members of the transgender and queer community. Even if you’re not seeking a new job currently, it is likely that you or somebody you know may seek one in the future! Come join us in our discussion about gender and professionalism!